We are pleased to introduce the third edition of Africa Focus. We are thrilled with this edition, which features six different topics that go to the heart of existing challenges and opportunities on the African continent. 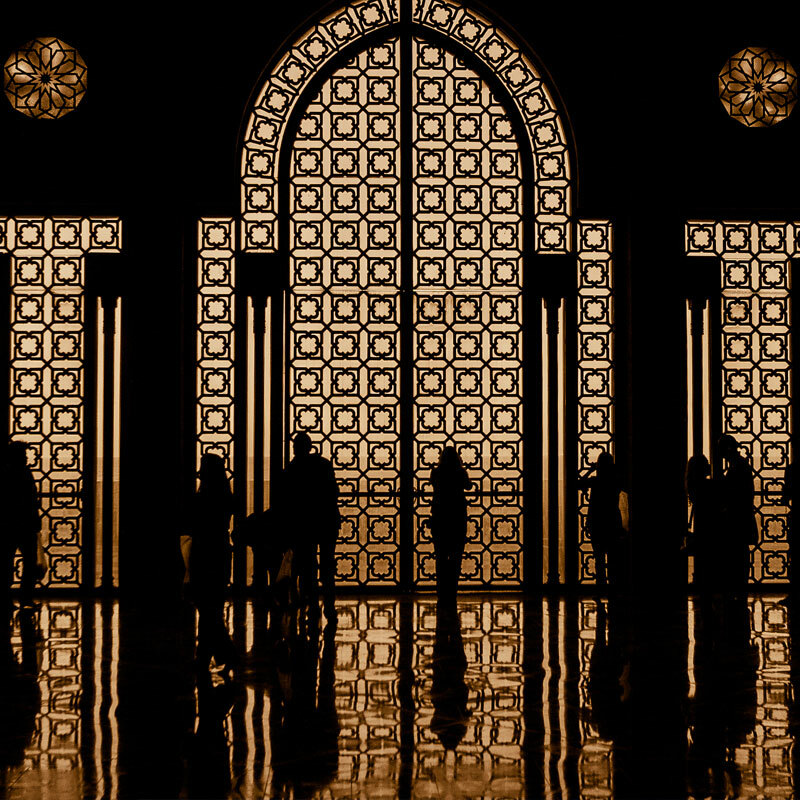 Continuing a theme we began in previous issues of Africa Focus reviewing alternative ways to finance projects, we discuss "Islamic Finance in Africa" as an increasingly popular option for investors. "Powering Africa: The LNG gas-to-power option" looks specifically at the energy sector and the appeal of LNG gas-to-power projects in Africa, while "Renewable energy in Africa in the era of climate change" examines the enormous potential for renewable energy on the continent. In "Mozambique: Beyond mining," our team covers economic diversification through resource-based infrastructure by exploring progress to date in Mozambique and how the country is opening up its mining logistics infrastructure to drive diversification of its economy. "Business and human rights in Africa" presents the hugely important topic of the need for investors in African countries to be conscious of a growing focus on human rights. In addition, "The long arm of the law: Bribery and corruption enforcement investigations" discusses challenges that both individuals and companies doing business in Africa face in the form of the risks around bribery and corruption. Many of these topics were highlighted during UK Prime Minister Theresa May's recent trip to Africa. White & Case was proud to have our partner Josh Siaw accompany the Prime Minister on this week-long trip, which included visits to South Africa, Nigeria and Kenya. Josh was the only representative from a law firm to be a part of the Prime Minister's traveling party, and allowed us to gain useful insights into key political and business issues raised during the trip's discussions. Linking to some of the themes we cover in this third edition of Africa Focus, strong topics that emerged during the trip included partnerships, how collaboration is essential for successful investment opportunities and the deep interest among investors in exploring different ways to finance projects on the continent. Josh also reported back on the strong link—repeatedly discussed through the week—between aid and trade, as well as the importance of achieving a healthy balance that brings benefits to all. Josh will expand on some of the themes from the visit in our next issue. We hope you enjoy reading Africa Focus, and please let us know if there are topics or issues you would like us to cover in future editions. 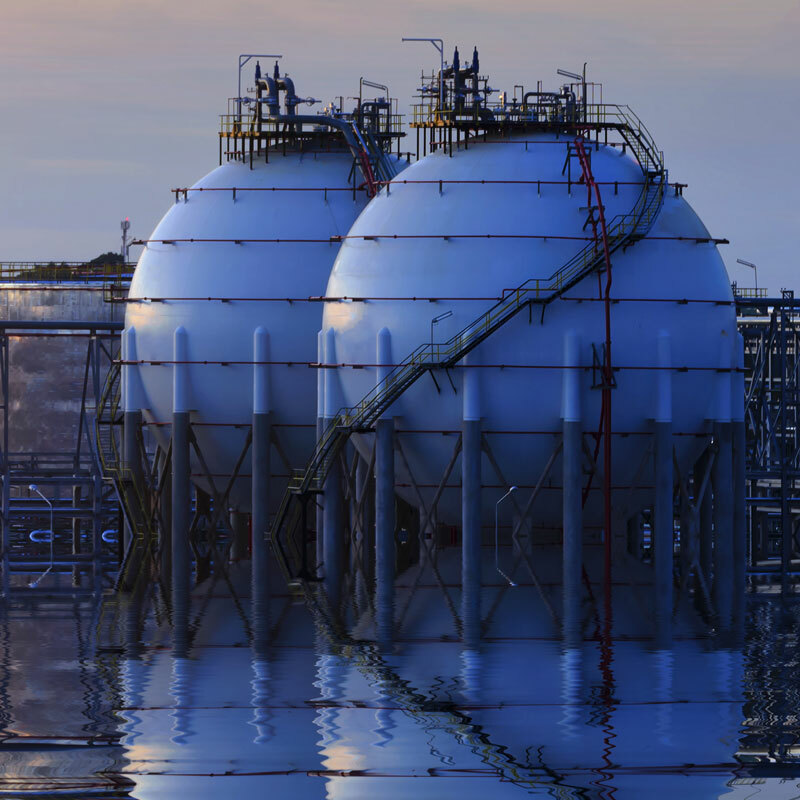 Current LNG gas-to-power projects could successfully pave the way for other African countries. Despite their valuable natural gas resources, African countries are straining to strike an adequate balance between their energy supply and demand. This makes it essential for African countries to capitalize on their reserves by investing in LNG projects to meet their energy needs, thereby creating sustainable economic development within the continent. Some countries, such as South Africa and Morocco, hope to successfully pave the way for other African countries, though these types of projects may not be suitable in all circumstances. The LNG gas-to-power journey is associated with certain foreseeable risks that must be given proper consideration, notably those related to currency and state participation. Yet a proper assessment of these risks and the implementation of adequate preventive measures, as described below, could allow them to be addressed appropriately. Historically, Africa has had a relatively small portion of the global natural gas reserves, with 7.6 percent of global natural gas reserves in 2016.7 This figure is dwarfed in comparison to that of its Middle-Eastern counterparts, whose natural gas reserves accounted for 42 percent of the natural gas reserves available worldwide during the same period.8 Similarly, Europe and Eurasia's natural gas reserves accounted for 30 percent of global reserves9 (Figure 1). Despite this, and led by Algeria, Nigeria, Angola, Egypt and Equatorial Guinea, new gas discoveries have enabled Africa to emerge as a major supplier of natural gas. For example, Nigeria, with its estimated 5,300 billion cubic meters (bcm) of gas and rising investments in gas production, is in the process of becoming one of the largest LNG suppliers, after Qatar.10 Recently, Mozambique, Tanzania, Mauritania and Senegal have also emerged as key players in the African gas industry in light of their newly discovered gas reserves. Despite these shortages, Africa's demand for energy is predicted to rise with increasing population, urbanization and economic productivity. According to the World Bank, African manufacturing enterprises experience power outages on average 56 days per year.13 Given Africa's existing power deficit, it is incumbent upon the region to address the current and future power supply, transmission and distribution needs. LNG's share of Africa's primary energy demand (total energy demand from all sources) excluding biomass will likely increase modestly, from 15 percent in 2020 to 18 percent in 2035 (Figure 2). As a source of energy for electricity generation, LNG could grow from 10 percent of installed capacity in 2015 to 23 percent by 2030 (Figure 3). Other African countries are also increasingly getting involved in developing gas-to-power facilities. LNG gas-to-power projects will aim at developing the domestic production of electricity and provide for the construction of key gas and electricity infrastructure. To date, there have been very few gas-to-power initiatives in Africa. In 2016, South Africa launched an LNG-to-power program involving 3,000 MWs allocated between two gas-fired power generation plants. Encouraged by the increasing need for electricity, Morocco has recently decided to expand the use of LNG through a gas-to-power project. Despite delays in the initial timeline, the government has mentioned its full support for the project on several occasions. The project involves the construction of a new LNG terminal within five years at Jorf Lasfar port, near the western city of El Jadida. It will allow up to 7 bcm of gas to be imported by 2025, substantially diversifying energy imports. The terminal, along with the construction of a jetty and necessary pipeline infrastructure, is estimated to cost US$4.6 billion. The Moroccan government also launched an international tender seeking foreign investments for the LNG terminal, which attracted bids from more than 93 companies, including French, British, Spanish and American companies. To attract foreign investment, Morocco has adopted a modern legal framework, conducive to the development of infrastructure projects. Morocco's energy policy is set independently by two government agencies: the Office National de l'Electricité et de l'Eau Potable (ONEE), which sets electricity-related policies; and the Office National des Hydrocarbures et des Mines (ONHYM), which sets domestic oil & gas policies. These agencies have created sector-specific laws, such as law No. 48-15, aiming to liberalize the Moroccan energy sector. Notably, law No. 48-15 strives to ensure fair competition, continuity of service and compliance by the electricity industry participants with regulatory requirements. These sector-specific laws work in tandem with Morocco's new public-private partnerships law No.86-12 (the PPP Law). The PPP Law is essential, because it introduces the concept of a partnership contract into the Moroccan legal framework, thereby enabling private partners to be remunerated by the relevant public authority while taking into consideration standard markets that are implemented in international project finance. Gas-to-power projects are complex and face significant challenges, particularly in nations where these projects are the first of their kind. Sovereign ratings, currency volatility and foreign currency reserves. There is a risk that a sovereign will fail to meet debt repayments, thereby lowering its credit rating and increasing the risk to the lender. Additionally, hard currency loans can create a currency risk if revenues are in local currency. For example, a power plant located in Africa may be financed in US dollars, but if electricity tariffs are in local currency, then this may create an asset-liability currency mismatch.18 If the local currency depreciates against the US dollar by 10 percent, revenues remain unchanged, but liabilities have increased by 10 percent. By contrast, if the US dollar depreciates against the local currency and the country welcoming the power plant had a large supply of US dollars in its foreign reserves, there is a risk that the host African country's foreign currency reserves would be depleted, thereby limiting government policy options. Receiving support from the state will be essential for managing risks associated with the state’s participation in the project. To avoid or respond to the aforementioned risks and other key challenges, particular attention should be paid to contractual frameworks, tariff structures, government support, financing frameworks, fuel flexibility and corporate social responsibility (CSR). Establishing a solid contractual framework helps project companies protect themselves against commodity and currency risks, risks associated with state participation, sovereign risks and risks associated with the project's social impact. Receiving state support will be essential for managing risks associated with the state's participation in the project. Both the nature and extent of a government's involvement will be of major importance in the gas-to-power project's success. Establishing a strong financial framework is important for limiting currency and sovereign risks and for hedging general project risks. Financing the gas-to-power project will involve a typical suite of finance agreements. Depending on the final corporate structure and financing terms, on-loan agreements and cross-guarantees by each of the project companies (if several) may be required. Planning for back-up fuel. Structuring a project to operate on back-up fuel and entering into related arrangements will have upfront and ongoing cost and efficiency implications. Given an emphasis on bidders' proposed solutions to optimize a plant's specification at the lowest cost, prospective bidders in a gas-to-power project should ensure that the project scheme is prescriptive as to the nature and extent of back-up facilities and arrangements—so that all bidders are held to the same standard. With new discoveries of natural gas in Africa, large projects could be developed in several parts of the continent, including cross-border and remote areas. States and private developers will therefore need to work together to develop projects onsite. This will also mean achieving a fair split of the costs, risks and benefits. Despite these significant challenges, the future seems bright for African LNG, as gas-to-power projects are likely to expand due to strong demographic growth and an ever-increasing demand for electricity. 1 Shell Global. "Liquefied Natural Gas." Available at: https://www.shell.com/energy-and-innovation/natural-gas/liquefied-natural-gas-lng.html. 2 United States Energy Information Administration. "Global Natural Gas Consumption Doubled from 1980 to 2000." April 12, 2012. Available at: https://www.eia.gov/todayinenergy/detail.php?id=5810. 3 CEDIGAZ. "Natural Gas in the World—2017 Edition." October 2017. Available at: http://www.cedigaz.org/documents/2017/NGW%202017/NGW2017EditionSUMMARY.pdf. 5 Prima LNG. "Benefits of LNG." No date. Available at: https://www.primalng.com/about-lng/benefits-of-lng. 6 Elengy. "LNG: an energy of the future." No date. Available at: https://www.elengy.com/en/lng/lng-an-energy-of-the-future.html. 15 United States Department of Commerce. "Morocco: Energy." October 25, 2017. Available at: https://www.export.gov/article?id=Morocco-Energy. 16 Xinhua. "Morocco takes legal move to stimulate liquefied gas growth." December 16, 2017. Available at: http://www.xinhuanet.com/english/2017-12/16/c_136831021.htm. 18 Wim Verdou, David Uszoki, and Carlos Dominguez Ordonez. "Currency Risk in Project Finance." August 2015. Available at: https://www.iisd.org/sites/default/files/publications/currency-risk-project-finance-discussion-paper.pdf. Shari.ah-compliant financial products are needed to enhance financial inclusion in Africa. Unsurprisingly, Islamic banking and finance assets have concentrated historically in the Middle East and Malaysia. These markets currently account for more than 80 percent of industry assets. In the past five years though, stakeholders from traditionally non-Islamic majority jurisdictions—including Europe and East Asia—have also entered the Islamic finance market or indicated their intention to participate in Islamic finance transactions. Africa, in particular, is a region in which Islamic finance could and, indeed, should thrive. The continent has a Muslim population of approximately 636 million, representing almost 53 percent of Africans.2 The Muslim population in sub-Saharan Africa is projected to grow by nearly 60 percent from 242.5 million in 2010 to 385.9 million in 2030.3 Furthermore, a vast infrastructure development deficit creates financing needs, towards which Islamic finance could make a significant contribution. Some African countries have already started taking steps to support the local uptake of this financing mechanism. Among others, South Africa, Nigeria, Kenya, Senegal, Djibouti, Uganda and Morocco have all introduced legal and regulatory frameworks to promote the development of Islamic finance products in their respective jurisdictions. Examples include recent changes to Kenya's stamp duty and VAT regulation to create a more level playing field between Shari'ah-compliant and conventional products. Nigeria, Tunisia and South Africa are now home to Islamic banks and takaful (Islamic insurance) companies. Several traditional banks across the continent have also started to offer Shari'ah-compliant banking products through "Islamic windows." Also, in the public sector, regional governments have either started issuing international or domestic sukuk or "Islamic bonds" (such as South Africa, Senegal, Nigeria, Côte d'Ivoire and Togo) or have at least commenced preparatory work for their debut sovereign sukuk issuances (such as Tunisia and Morocco). These developments are also encouraging from a macro-economic perspective generally. Islamic finance presents African nations with a unique and (to date) relatively underutilized mechanism to help address two of the most prevalent development issues pervading the continent: the needs to increase financial inclusion among the domestic population and to bridge the funding gap required for needed infrastructure (Figure 1). Regarding financial inclusion, The European Investment Bank estimates that in 2017, as many as 350 million Africans did not have formal bank accounts.4 Therefore, the development of Islamic finance products—both together with and as an alternative to conventional banking and insurance offerings— could significantly increase Africa's financially underserved population's access to finance. That members of Africa's Muslim communities may be reluctant to accept financial services provided by conventional banks, on religious grounds, makes the need for Shari'ah-compliant financial products even more pressing. Regarding Africa's infrastructure gap, foreign and domestic investments through Islamic finance provide significant opportunities to diversify the sources of funds to meet the African Development Bank's projected requirement of US$130-170 billion per year until 2025.5 Sukuk issuances tied to tangible assets and projects— such as roads, bridges, water and sanitation works and hospitals— provide cost-efficient means for African governments to address this infrastructure development demand. As can be seen in Figure 2, Islamic Finance is essential for unlocking investment from the Middle East but it also attracts investors from other parts of the world. They also increase these governments' ability to tap the significant pools of liquidity held by Islamic investors based in the Gulf Cooperation Council (GCC) countries and Asia who are looking for viable investment opportunities in Africa. Despite the above legislative and practical steps taken towards growing Islamic finance in Africa and the relatively untapped macroeconomic opportunity it represents, Islamic finance is still some way from being a mainstream form of finance across Africa. Here are some of the underlying structural issues that pose challenges to Islamic finance in Africa. These are not country-specific, but rather permeate the entire continent's markets, to a greater or lesser degree. The existing laws of most African countries were not designed to cater to interest-free financings based on the sharing of economic risks and rewards, and achieving returns by reference to the performance of Shari'ah-compliant assets. These principles are fundamental to Islamic finance. The need to create economically viable structures that do not rely on interest makes Islamic finance arrangements more complex than their conventional/non-Islamic equivalents, and they tend not to fit neatly within existing civil or common law frameworks. For example, while African governments may regularly issue local currency treasury instruments, these are typically conventional interest-bearing instruments. Structural amendments required to make these instruments acceptable to Islamic institutions and investors need to be carefully designed to avoid conflict with domestic tax rules and to maintain equality with traditional treasury instruments. Without amendments to existing tax codes, the asset-based nature of Islamic finance may trigger various tax payment obligations from country to country that are not involved in conventional financings. These could include registration tax/stamp duty land tax, VAT, capital gains tax and withholding tax. Regulatory consideration is required to harmonize these issues. Clarity is crucial regarding the legal enforceability of Islamic finance products. And the increased costs of funding due to taxes need to be mitigated. Without these, it will likely prove difficult to reach the critical mass necessary for Islamic finance to flourish. Public sectors will continue to borrow using traditional debt products. Commercial banks will find the legal risk and potential additional costs of Islamic finance unappealing. The establishment of specialist Islamic banks and other financial institutions will not be viable. Overcoming these challenges requires that African governments continue to promote change in their regulatory systems to facilitate Islamic finance products and enhance their attractiveness to domestic and international stakeholders alike. Islamic finance remains poorly understood across many markets, not only in Africa. With some validity, it is frequently considered to be more challenging to implement than conventional/non-Islamic finance techniques. Traditional aspects of modern commercial banking and capital markets practices have existed for many decades, but modern Islamic finance is—in relative terms—very new and niche. It comes as no surprise that potential end-users of Islamic finance, both in the public and private sectors, when given a choice, will often favor conventional over Islamic financing, just because it is more familiar. Knowledge gaps are often a consequence of the applicable regulatory framework (or lack thereof) in the relevant jurisdiction. So, they can be bridged by the introduction of the relevant regulations, as certain African governments are now doing. Standardization of products, documentation, business practices and the question of what is and is not Shari'ah-compliant will also inevitably improve awareness of Shari'ah-compliant products and also increase the efficiency with which they can be deployed to meet public and private sector funding needs. This type of standardization is already present in other regions where Islamic finance is more widely used, such as the Gulf Cooperative Council states and Malaysia. To some degree, it will be a natural byproduct and facilitator of the growth of Islamic finance in Africa. The relatively low penetration of formal banking services across Africa represents a barrier to entry for conventional and Islamic financial institutions offering Shari'ah-compliant banking products—such as Shari'ah-compliant personal loans, mortgages and takaful. Much of Africa's population is accustomed to informal arrangements (such as loans from friends and family) and may be uninterested in or even actively resistant to transitioning to banking with formal financial institutions. On the other hand, this limited financial penetration in Africa might present a tremendous opportunity for innovation in the sector. Africa is already well known as a hotbed for pioneering microfinance products and non-banking financial institutions. For example, M-Pesa is a mobile phone-based microfinance provider launched by Vodafone and Kenya's Safaricom in 2007 in Kenya and Tanzania, which has since then expanded to South Africa, Afghanistan, India, Romania and Albania and is currently used by more than 30 million customers globally. It stands to reason then, as Islamic finance products and institutions become increasingly mainstream across the continent, that Shari'ah-compliant African microfinance products and institutions will also be developed to service unbanked (or underbanked) Muslim communities. Already, Gulf African Bank and Safaricom have announced the launch of M-Sharia, a Shari'ah-compliant banking service through M-Pesa. Moreover, it is possible that such Shari'ah-compliant microfinance products and providers will, in turn, extend their reach from Africa into other jurisdictions, such as Southeast Asian countries, with large Muslim populations that cannot access the formal banking system due to low and irregular household incomes or poor credit records. In this context, Africa has a chance to be a true innovator for the Islamic finance industry. The above challenges are not new. The lack of access to banking may be considered a uniquely African problem only in terms of scale. Lessons from how this and other challenges were overcome in other parts of the world—from the United Kingdom to Hong Kong to the Middle East—are profoundly applicable in Africa. Regulatory and knowledge gaps in Africa will take time to address, but positive trends are already evident. Shari'ah-compliant regulatory frameworks are emerging in more and more African countries. African policymakers and end-users have also engaged with more developed Islamic finance markets to help them up the learning curve. Some African financial institutions and government-related entities (such as the Kenyan Capital Markets Authority) have become members of the Islamic Financial Services Board (IFSB), a multilateral body based in Kuala Lumpur. Among other things, the IFSB issues, and facilitates the implementation of, global prudential and supervisory standards and other initiatives that foster knowledge sharing and cooperation among its members. For instance, since 2008, Bank Negara Malaysia has run more than 300 Islamic finance programs and study visits7 for more than 25 African countries, including Nigeria, Sudan, Tanzania and Kenya. The Islamic Corporation for the Development of the Private Sector (ICD)—the private sector arm of Islamic Development Bank (IDB) and the largest Shari'ah-compliant multilateral development bank in the world—also continues to play a role in developing Islamic finance in Africa by arranging local sovereign sukuk issuances. How governments, organs of state and the people of Africa respond to the challenges of Islamic finance and the extent to which they adopt Islamic finance as a financing tool could have a significant impact on the macroeconomic development of the continent in the foreseeable future. Raising stakeholders' awareness and understanding of Islamic finance products and practices and the additional financing options they present can spur public and private sector demand for Islamic finance and the regulatory reforms required to meet this demand. Bridging the regulatory gap can, in turn, help address Africa's financial inclusion deficit by encouraging the growth of—and innovation in—Shari'ah-compliant products, thus increasing the range of financial institutions, products and services available to the populace and, accordingly, increasing financial inclusion. Moreover, providing African governments, companies and individuals with greater access to finance can play a major role in bridging Africa's infrastructure gap and promoting economic growth and social prosperity across the continent. Considerable work is still required to overcome the challenges standing in the way of Islamic finance flourishing in Africa, but clearly, the rewards will outweigh the effort. 1 World Economic Forum (2017). Islamic finance could be the answer to Africa's growth problems. Accessed at https://www.weforum.org/agenda/2017/10/islamic-finance-could-be-the-answer-to-africas-growth-problems/ on 14 August 2018. 3 European Investment Bank (2017). Banking in sub-Saharan Africa. Interim Report on Digital Financial Inclusion. Accessed at http://www.eib.org/attachments/efs/economic_report_banking_africa_interim_2017_en.pdf on 14 August 2018. 4 European Investment Bank (2017). Banking in sub-Saharan Africa. Interim Report on Digital Financial Inclusion. Accessed at http://www.eib.org/attachments/efs/economic_report_banking_africa_interim_2017_en.pdf on 14 August 2018. 5 African Development Bank (2018). African Economic Outlook, 2018. Accessed at https://www.afdb.org/fileadmin/uploads/afdb/Documents/Publications/African_Economic_Outlook_2018_-_EN.pdf on 14 August 2018. 6 World Bank (2018). The Global Findex Database 2017. Measuring Financial Inclusion and the Fintech Revolution. World Bank Group. 7 Bank Negara Malaysia (2017). Islamic Finance in Africa: Impetus for Growth. www.mifc.com. Companies and investors in African countries need to be conscious of the growing focus on human rights. Historically, human rights have been a matter between states and citizens but in recent years, the collective and legislative consciousness has shifted. As a result, human rights look set to become an integral aspect of corporate compliance and risk management. Although companies do not have binding legal obligations in rights-related international agreements, this aspect of corporate responsibility is becoming a standard of conduct expected by investors, regulators and other stakeholders. Operators and investors in African countries should be conscious of the human rights issues and opportunities that could arise through, or affect, their activities and business relationships, including matters relating to labor standards, socio-economics, security and environmental impacts. Companies operating in African countries encounter human rights issues in different ways. These are addressed at various levels, from international guidelines to regional initiatives, local legislation, "soft law", industry initiatives or arising from court decisions. The Guiding Principles set the first global standard for preventing and addressing the risk of adverse impacts on human rights linked to business activity and establishing responsibility for it. They apply standards to all businesses, regardless of size, sector, region or operational context. The OECD Guidelines for Multinational Enterprises also reference the duty of enterprises to operate "within the framework of internationally recognized human rights." This starts with the aim of states "encouraging the positive contributions that multinational enterprises can make to economic, environmental and social progress and to minimize the difficulties to which their various operations may give rise. "4 State implementation includes having a policy commitment to respect human rights and carrying out human rights due diligence appropriate to the size, nature and context of operations, as well as the severity of the risks of adverse human rights impacts. Transnational businesses often operate in Africa through subsidiaries. Some African states are working toward implementing the Guiding Principles through national action plans that promote a country-level multi-stakeholder approach and other sustainable development frameworks. 1. Established in 1987 to promote protection of human rights in Africa. Navigating the complexity—and potentially the inconsistencies—of international and national standards can be a challenge. By identifying and minimizing risks, companies can fulfill human rights-related governance and compliance obligations. Many sectors with a high risk of human rights impacts are important in African economies, including commercial agriculture, manufacturing, the extractives industry, infrastructure projects, utilities and power generation. Companies operating in African countries should fully understand the local context where projects or business operations are planned or undertaken, as well as in their supply chains. The legal, financial and reputational consequences of inaction can be wide-ranging. For example, courts around the world have begun to consider complex jurisdictional and legal arguments in proceedings against parent companies for human rights issues involving their foreign subsidiaries—many of which have been in Africa. In African countries where the balance between sustainable development and human rights is gaining prominence, respecting human rights makes business sense. Careful assessment of opportunities can foster procedures to ensure that human rights are respected in the operations of a business and can have a positive impact on its social license to operate. Chandler v Cape PLC  EWCA Civ 525: General principles from this decision have been used in claims against UK parent companies for human rights issues arising from the actions of their subsidiaries in Africa. The Court held that in appropriate circumstances, the law might impose responsibility on a parent company for the health and safety of its subsidiary's employees. This will depend on factors such as the relationship between the business operations of the parent and subsidiary and the level of knowledge and control of the parent. Lungowe and Ors v Vedanta Resources Plc and Konkola Copper Mines  EWCA Civ 1528: In this decision, Zambian citizens sought jurisdiction in the English courts, alleging personal injury, damage to property and loss of income, amenity and enjoyment of land, due to alleged pollution and environmental damage caused by discharges from the Nchanga copper mine. The Court of Appeal held that a parent company will not automatically owe a duty of care to someone affected by the actions of its subsidiary, but a duty could arise where a parent company has taken direct responsibility for devising the relevant health and safety policy, or controls the operations giving rise to the claim. Okpabi and others v Royal Dutch Shell Plc and another  EWCA Civ 191 and AAA & Ors v Unilever Plc and Unilever Tea Kenya Limited  EWCA Civ 1532: In both of these cases, third parties brought claims for damages against UK parent companies in relation to actions by their subsidiaries in Africa (in Nigeria for damage from oil pollution and in Kenya for protection from violence on a tea plantation). The Court declined to find jurisdiction to hear the claims against UK parents in both cases, indicating that the threshold to establish liability for a parent company remains high. In Okpabi, the Court clarified that mandatory group policies will not automatically mean that a parent has taken control of the operations of every subsidiary to a degree that will give rise to liability. However, a policy for a specific subsidiary or the assumption of functional responsibility by a parent could establish a duty of care. In Unilever, the Court of Appeal reiterated and affirmed the principles established in Chandler, Vedanta and Okpabi, and found that the UK parent in that case did not owe a duty of care to the employees of its Kenyan subsidiary because the UK parent was neither involved in the management of the subsidiary nor did it advise the subsidiary on how to manage political risk. The Constitution of Ghana mandates that the fundamental human rights and freedoms it enshrines must be respected and upheld by all natural and legal persons, government and the judiciary, and are enforceable by the Courts. The Kenyan Constitution protects various human rights, including labor rights and the right to a healthy environment. The Moroccan Constitution guarantees various human rights and, in 2016, Morocco enacted legislation providing protections for free expression, workers' rights, victims of human trafficking and persons with disabilities. Morocco has integrated a chapter on business and human rights into its 2018–2022 National Action Plan for Democracy and Human Rights.13 The first planned measure is the elaboration and adoption of a human rights national action plan through engagement with all stakeholders. Other non-legislative measures proposed include encouraging business enterprises to adopt internal human rights policies, integrating human rights in business into law and practice, awareness-raising and capacity-building. The Mozambican Constitution guarantees many human rights including equality of citizens before the law; and the Labor Code and related regulations also prohibit discrimination, establish rights for migrant workers and establish minimum labor standards. The Nigerian Constitution guarantees fundamental rights such as the rights to life, freedom of expression and freedom from discrimination, forced labor and inhumane or degrading treatment. The Nigerian National Human Rights Institution, Human Rights Commission and Nigerian civil society are leading efforts to develop a national action plan for Nigeria, and a draft plan was produced in 2017.15 It proposes several recommended state policies relating to human rights, including: that the state require clauses in its contracts with other entities specifying human rights obligations of the contracting parties and sanctions for violations; that banks operating in Nigeria should include a duty in respect of human rights in loan agreements; and that companies should be required to show evidence of human rights compliance for imports and exports. The Tanzanian Constitution contains provisions safeguarding human rights, and these rights are enforceable under the Basic Rights and Duties Enforcement Act 1984 and other local laws. Domestic laws also protect labor rights, health and safety and land rights. Tanzania has legislation relating to environmental protection and management and corporate transparency. The South African Constitution contains a Bill of Rights upholding basic civil and political rights as well as rights to privacy, labor rights and the right to a healthy environment. There is also a specialist Constitutional Court tasked with interpreting and hearing constitutional rights cases. Some commercial operations in South Africa have undertaken high levels of community engagement and produced mutually beneficial outcomes. For example, a community living in 29 villages surrounding the world's largest platinum reserve—the Merensky Reef—owns 13 percent of the mining company.18 A trust was created in 2004 to manage the community resources derived from these assets and to invest them in infrastructure, health, education and security. The Constitution of Malawi protects and recognizes human rights, and several laws apply to human rights issues. Malawian employment law also imposes legal requirements relating to labor standards and discrimination, with a specialist Industrial Relations Court mandated to investigate labor disputes and employment issues.19 Malawian law includes statutes relating to environmental management, land ownership and title, and gender equality. Several public and private initiatives are underway towards development of a national action plan in Malawi. There is also a Malawian Human Rights Commission, with a mandate to receive individual, group and institutional complaints regarding alleged human rights violations.20 Malawi Tea 2020 is a coalition of stakeholders from across the entire tea value chain, established to improve human rights throughout the industry.21 The coalition aims to promote gender equality and women's rights, as well as labor rights. The initiative, which involves the entire Malawian tea industry, is led by the Tea Association of Malawi, the Ethical Tea Partnership, German Development Agency, the Sustainable Trade Initiative and Oxfam. 2 For example, the Universal Declaration of Human Rights, the International Covenant on Civil and Political Rights, the International Covenant on Economic, Social and Cultural Rights, and the ILO conventions in the Declaration on Fundamental Principles and Rights at Work. UN Guiding Principles, Part II A. (section 12). 3 UN Guiding Principles, Part II A. (section 11). 6 For example, the Equator Principles (June 2013), which are ‘A financial industry benchmark for determining, assessing and managing environmental and social risk in projects' (www.equator-principles.com). 7 Regulation (EU) 2017/821 of the European Parliament and of the Council of 17 May 2017 laying down supply chain due diligence obligations for Union importers of tin, tantalum and tungsten, their ores, and gold originating from conflict-affected and high-risk areas. Economic diversification through resource-based infrastructure. 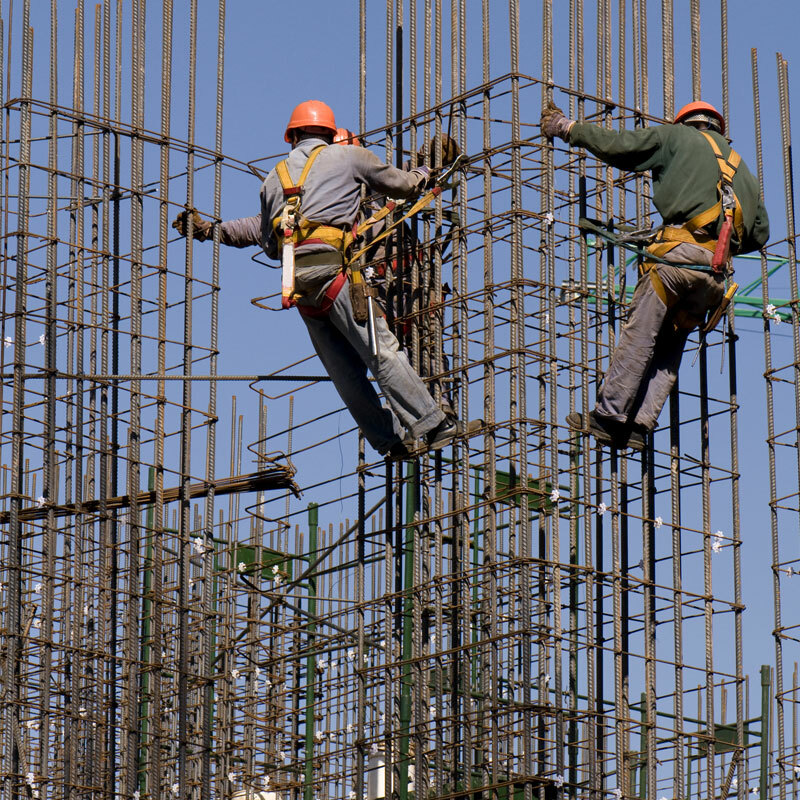 Economists have long recognized infrastructure development projects to be one of the most potent levers for economic growth.1 Infrastructure built to support development of a country's natural resources can provide access to previously inaccessible areas and open trade routes, and generate investment into new sectors. Where that infrastructure crosses national borders, as is the case with several of Mozambique's current portfolio of development projects, it can also promote regional socio-political integration, economic growth and diversity. Against the backdrop of Mozambique's improved economic outlook starting from 2018, this article focuses on how the country's opening of its mining logistics infrastructure can drive diversification of Mozambique's economy and its regional integration with landlocked neighboring countries that can use Mozambique as an import and export route. Especially in cross-border and regional infrastructure projects, investors can combine traditional and more creative treaty mechanisms to assist infrastructure financing and development. In this context, Mozambique has been willing to support cross-border projects through intergovernmental agreements, and is now participating in its first two investment arbitration cases. These are positive indications that the country understands investors' need for wider stakeholders' engagement and risk management tools, which make projects viable. This increase will likely come from Mozambique's coal reserves of about 1.8 billion tons,5 most of which is high-quality coking coal, with primary deposits in the Tete province. To achieve its forecast growth, Mozambique will need infrastructure to support exploration and development of its reserves in the Moatize, Lower Zambezi and Mucanha-Vusi basins, as well as the deposits in Changara, Cahora Bassa and Magoe districts. The country has already taken some positive steps to attract the investment required. In recent years, the Government of Mozambique has made concerted efforts to enhance the country's business environment and thus attract trade and investment, particularly into the mining sector. Current mining legislation aims to ensure greater competitiveness and transparency, defining clear obligations and protecting national interests, while also protecting the rights of mining companies. Law No. 20/2014 (Legislação Mineira) and Decree No. 31/2015, for example, introduced clear rules for mining prospecting, research operations, development and exploration. Some external market factors are likely to play an important role in raising foreign investors' interest in Mozambique's mining sector. Strong and sustained demand for coking coal in India, the uncertain socio-economic environment in Zimbabwe and the expected cost increase of mining in South Africa all place Mozambique at a regional competitive advantage.6 Mozambique's large coal reserves, high-quality product and strategic location relative to Asian markets create the potential for the country to become a key player in global coal markets. Notwithstanding these positive factors, Mozambique needs to invest heavily in infrastructure to achieve its forecast growth, in particular roads, railways and ports, so several planned projects become viable and existing projects are optimized. Most of Mozambique's civil infrastructure was built during the country's colonial period. In 1931, the colonial state created the industry entity Portos e Caminhos de Ferro de Moçambique (CFM) to centralize the management of railways and ports in Mozambique. In the 1990s, the Government of Mozambique approved the participation of private capital in the rehabilitation, exploitation, and management of rail and port infrastructure and services, ceasing the exclusivity regime of the operation of the railways and ports to state-owned entities. The enactment of this law was a landmark in Mozambique's quest to attract private investment and promote efficiency and transparency with these types of projects. 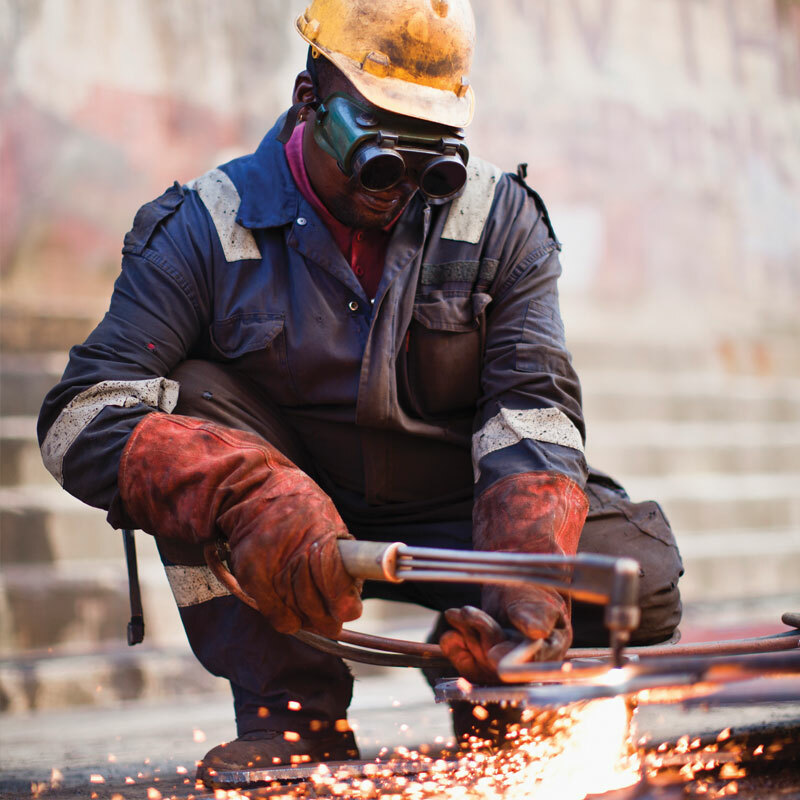 Notwithstanding these trends toward a broader participation of the private sector, CFM continues to play an important role in Mozambique's infrastructure development. It continues to control the management of some principal railways and ports. These include the Sena-Beira railway, which is used for the transportation of coal produced in the Tete province to the coast, and the Beira port, which is an important export exit for the country's interior and landlocked Zimbabwe, Zambia and Malawi. 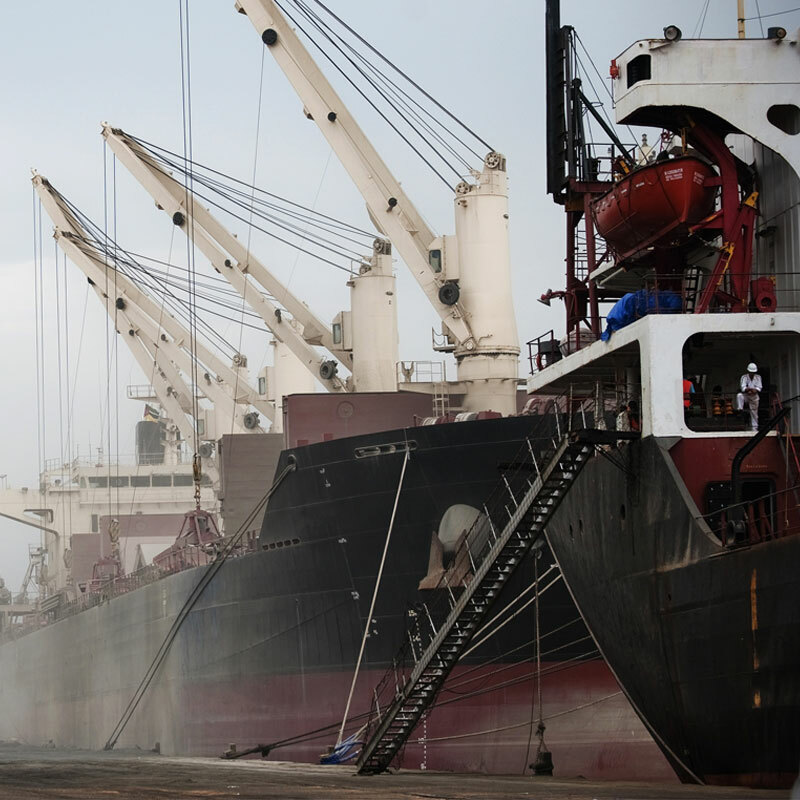 CFM's portfolio of development initiative includes infrastructure and logistics projects across a range of industries, such as the reconstruction of the Machipanda railway connecting the Beira port to Zimbabwe, creating opportunities around the transport of fertilizers, wheat, rice, granite and fuel, and the development of a new coal terminal in Beira (Figure 2). The Sena-Beira railway is not sufficient for the export of the volumes of coal being produced in the Moatize area. This has forced larger mining companies to look for more efficient alternative routes and integrated logistics solutions to transport coal from the inland basins to seaports for export. The need for a more efficient solution underpinned the landmark project for the connection of brownfield and greenfield railways in Mozambique and Malawi sponsored by Vale S. A., the Brazilian mining company, and the Japanese company Mitsui & Co., which also included the construction of a new deep sea coal terminal in Nacala-a-Velha in Mozambique (the Nacala Project). The infrastructure needed for Mozambique's growth in coal production can have a much wider economic, political and social impact and be more attractive to investors if it is developed based on a regional strategy, bearing in mind the country's many landlocked neighbors. Infrastructure development projects that cross national borders can result in stronger regional economic growth and integration. Economic connectivity reduces the likelihood of conflict between countries, fosters the increase of GDP per capita and enhances education levels in the workforce, creating a virtuous cycle of economic growth, stability and socio-economic development. In the case of Mozambique, cross-border infrastructure is vital for the integration of landlocked economies and the facilitation of trade in goods and services. Cross-border road and rail infrastructure can help address logistics bottlenecks to regional integration and facilitate economic transformation of Mozambique and those economies, because local and foreign investors can look at opportunities from a regional perspective. The Nacala Project is a good example of this type of cross-jurisdictional project. It starts in the Moatize area in the western part of Mozambique, crosses Malawi and terminates in two seaports: one for general cargo and one for coal in Mozambique's Nacala-a-Velha. The project enables landlocked Malawi to use the railway to import goods and export its production of cotton, tobacco, pigeon peas, sugar and other products. Importantly, it also improves the transport of passengers between the two countries, giving the project a much wider base of stakeholders. Cross-border projects naturally give rise to investment protection issues, usually covered by bilateral investment treaties (BITs), and to legal issues relating to the different and often conflicting jurisdictions where two or more countries are involved. Mozambique is party to 27 BITs. But with the exceptions of South Africa and Zimbabwe (in which BITs have been signed, but are not yet in force), the country has no such treaties with neighboring countries, all of which have their own and differing regulations. This requires tailor-made solutions to manage typical investors' risks specific to the countries involved in a particular project. In the case of the Nacala Project, there was no Mozambique-Malawi BIT, and differing rail infrastructure regulations meant that the countries had to find specific solutions to enable cooperation. A key part of the solution was to establish an intergovernmental agreement (IGA), setting out guidelines for the interaction of both countries during the operation of the project. In the IGA, the countries recognized the need for adequate and efficient routes for regional and international trade and the desire to promote good neighborliness and peaceful cooperation for the benefit of their people. Interestingly from the investors' point of view, Mozambique and Malawi were prepared to amend an initial IGA when the Nacala Project was project financed. Similar opportunities exist in several other parts of southern Africa and in other parts of the continent, where infrastructure projects could benefit from similar legal hybrid structures, incorporating innovative instruments such as IGAs to provide comfort for sponsors and lenders that local legal specificities will be carefully thought through and addressed in advance, thus reducing project risks for investors and host states. In Mozambique, there is clearly further opportunity for the country to offer its landlocked neighbors—such as Zambia, Zimbabwe, Malawi and Botswana—export and import routes via its railways and seaports. For example, Botswana has an estimated 200 billion tons of coal reserves in the east side of the country in the Selebi Phikwe coal region. Botswana also benefits from good political and economic stability, and the government is eager to finance construction of trans-regional highways and railways to create capacity to transport general cargo, minerals, fuel and passengers through Zimbabwe to a Mozambican port in the south of the country. The spring 2018 edition of Africa Focus described Mozambique's well-developed investor protection landscape, which is generally available to investors from countries that have a BIT in force with Mozambique. Mozambique's BIT system is being tested for the first time in two investor-state disputes: Oded Besserglik v Republic of Mozambique, concerning investments in the fishing sector, and Cementisti CMC Di Ravenna SOC Coop v Republic of Mozambique, concerning road construction projects in Mozambique. The first BIT case ever filed against Mozambique was brought pursuant to the Mozambique-South Africa BIT 1997.10 The claimant, a South African national with investments in shrimp fishing and trading operations in Mozambique, claimed that the indirect expropriation of prawn-fishing quotas adversely affected its investment in a fishing operation. Although there is limited publicly available information on the dispute, Mozambique seems to have contested jurisdiction on the grounds that the BIT is not yet in force, pending ratification by both houses of parliament in South Africa.11 While this first case is well advanced, there were no jurisdiction or merits awards issued at the time of publication of this article. The second BIT case filed against Mozambique commenced in July 2017, pursuant to the Italy-Mozambique BIT 1998.12 The claimant is an Italian construction company, which has been involved in large-scale highway construction and other infrastructure projects in Mozambique.13 The proceedings are still in their initial phase and will take a number of years to be concluded. Mozambique's participation in those two proceedings demonstrates that the country is engaging with the systems in place to protect foreign investment. Mozambique's engagement in BIT disputes, combined with its potential willingness to assist cross-border investments through the signing of IGAs, is good news for investors who wish to invest in the country's infrastructure and have regional aspirations. While the short- to mid-term economic development of Mozambique and many other African countries remains linked to exploration of natural resources, the development of infrastructure to exploit those resources will remain a crucial enabler of that development, economy diversification and regional integration. Infrastructure projects associated with exploration and extraction of mining resources can promote economic and social impacts for the countries involved. In addition to traditional project documentation, BITs and other well-known treaties and conventions, investors in cross-border or regional projects could also look into creative structures such as IGAs, which place their projects in the context of a wider cooperation between two or more states. In some cases, these creative structures will make the difference between whether a project can proceed or not. 1 World Development Report 1994: Infrastructure for Development. 2 BMI research, Mozambique Country Risk Report, Q2 2018. 4 BMI research, Mozambique Country Risk Report, Q2 2018. 5 BMI research, Mozambique Mining Report, Q3 2018. 6 BMI research, Mozambique Country Risk Report, Q2 2018. 7 BMI research, Mozambique Country Risk Report, Q2 2018. 10 Oded Besserglik v Republic of Mozambique (ICSID Case No. ARB(AF)/14/2). 11 ‘Businessman sues SA too', The Citizen, 3 February 2018. 12 Cementisti CMC Di Ravenna SOC Coop, CMC MuratoriCementisti CMC Di Ravenna SOC Coop ARL Maputo Branch and CMC Africa, and CMC Africa Austral, LDA v Republic of Mozambique (ICSID Case No. ARB/17/23). 13 Z. Williams, ‘Mozambique faces another investment treaty arbitration', IA Reporter, 17 July 2017. The bribery and corruption risks facing individuals and companies in Africa. Corruption is indeed one of the greatest evils of our time. Corruption rewards those who do not play by the rules and also creates a system of distortion and diversion, thereby destroying all efforts at constructive, just and fair governance. There is no doubt that corruption remains a serious issue in Africa, as it does worldwide. Successive governments have pledged its eradication, but it continues to plague society as a whole. There is huge political and popular support for corruption investigations where companies or individuals are deemed to have profited unfairly from such practices. These investigations regularly come to the attention of the press, with significant reputational damage to those involved, and in a number of cases resulting in criminal prosecutions (including fines and imprisonment). While many of the high-profile corruption cases are investigated and prosecuted by the US and the UK, other jurisdictions—such as France and Kenya (referred to below)—are strengthening their anti-corruption enforcement. In this era of increasing globalization, there are more joint multijurisdictional investigations, and more information is being shared through mutual legal assistance requests. Those operating in Africa should be aware of the risks they face when conducting business, and their exposure on both a corporate and an individual level. In 1977, the US led the way in criminalizing bribes paid to foreign government officials by enacting the Foreign Corrupt Practices Act (FCPA). For many years, the US Department of Justice remained the principal law enforcement agency pursuing companies and individuals for overseas corruption. The FCPA's jurisdiction is wide: it applies not simply to US corporations and citizens, but also to foreign companies and individuals whose corrupt activity takes place within the US. The FCPA penalizes bribery of foreign public officials, and African states have been featured in a number of FCPA investigations over the years. Currently among the FCPA resolutions with the largest total penalties is Och-Ziff Capital Management Group LLC (Och-Ziff), a New York–based hedge fund that settled for more than US$400 million in 20161 and entered into a three-year deferred prosecution agreement (DPA) for bribing foreign officials in the Democratic Republic of Congo (DRC) and Libya. Och-Ziff's subsidiary, OZ Africa Management GP, LLC, a company incorporated in Delaware, also pleaded guilty to an FCPA violation relating to extensive bribery in the DRC. The "long arm" of the FCPA also extends to non-US citizens. A "fixer" for Och-Ziff, Samuel Mebiame (a Gabon national, and the son of the former Prime Minister of Gabon), was prosecuted and sentenced to two years' imprisonment for his part in Och-Ziff bribery schemes in Niger, Guinea and Chad. According to the US authorities, Mr. Mebiame repeatedly traveled to and from the US during the period of the criminal activity, and used facilities in New York and Florida to further the conspiracy. Specifically, he controlled US bank accounts that received funds from co-conspirators and entered into telephone and email correspondence about the corrupt scheme. It is not simply US citizens that face exposure under the FCPA. The US can and will prosecute foreign nationals if US authorities feel that there is a sufficient territorial link. Not quite hot on the heels of the US, the UK has been investigating and prosecuting corruption cases with vigor over the past decade, generating a level of fines never before seen in UK criminal courts. In 2010, the UK updated its existing bribery regime and passed extremely wide-reaching legislation (the Bribery Act). Even more stringent than the FCPA, as well as redefining a number of substantive bribery offenses, the Bribery Act created a new type of corporate offense: "failing to prevent bribery." This targets companies that have a "close connection to the UK"—such as foreign companies that operate fully or partially in the UK— even if the corrupt activity itself takes place entirely outside the UK. Therefore, in principle, an African company could be prosecuted under the Bribery Act for corruption taking place anywhere in the world, as long as it had a footprint in the UK. No other link would be required. UK citizens and those with a "close connection" to the UK are exposed to potential prosecution even if the corruption took place wholly outside the UK. Non-UK citizens also fall under the UK's jurisdiction under both the Bribery Act and earlier legislation, if part or all of the conduct in question occurred in the UK. In practice, this extra-territorial reach of the Bribery Act has been used by UK law enforcement agencies to investigate and prosecute both individuals who have minimal connections with the UK and conduct that has little or no nexus to the UK. It is important to remember that facilitation payments (also known as small-level "grease" payments—more common when crossing borders) are wholly outlawed under the Bribery Act, whereas they are permitted within certain circumstances under the FCPA. Companies operating in jurisdictions where this type of payment is more prevalent should be aware of the risks that they might face in terms of exposing them to UK criminal liability. A number of the UK's recent enforcement cases have concerned allegations of corruption in Africa. The first use of the "failing to prevent" offense was against Standard Bank in 2015, when (as part of a DPA) the company agreed to pay a US$16.8 million fine, US$8.4 million in disgorgement of profits and a further US$7 million in compensation to the Government of Tanzania. This concerned a corrupt arrangement to make payments to Tanzanian public officials in relation to a private placement scheme. Standard Bank was alleged to have failed to prevent one of its subsidiaries, Stanbic Bank Tanzania Limited, and other individuals associated with it, from committing bribery on its behalf. More recently, in 2017 Rolls Royce PLC entered into a DPA and was ordered to pay almost £500 million as a result of corrupt arrangements in a number of countries, including Nigeria, as part of a push by Rolls Royce to sell aero engines and energy systems. There is as yet no decision as to whether individuals will face charges in the UK. Of the current corruption cases being pursued by UK authorities, the Rio Tinto investigation relates to mining activities in Guinea. British American Tobacco faces inquiries into its conduct in Kenya. Most recently, defense company Ultra Electronic Holdings is under the spotlight for business conducted in Algeria. Development banks—such as the World Bank and the African Development Bank—are committed to fighting corruption in any of their projects. Complaints can arise from a number of sources, including whistleblowers, and disgruntled competitors who feel that improper practices have been deployed in awarding one or more contracts. Where the allegations are substantiated, companies involved in the misconduct are likely to be barred from engaging in future development bank-financed projects. In the past eight years, the World Bank alone has debarred more than 350 firms and individuals. Then, the investigation findings are passed on to the relevant law enforcement authorities. Over the years, a number of criminal corruption cases have commenced following a Development Bank investigation. In January 2018, the African Union announced that it was dedicating 2018 to combating corruption. This follows the implementation of anti-corruption legislation by many African states in recent years. For example, in Kenya a new Bribery Act came into force in January 2017, extending Kenya's anti-corruption laws to the private sector (similar to the UK Bribery Act) and requiring private entities operating in Kenya to have procedures in place to help prevent bribery. Recent enforcement cases also illustrate that both foreign and domestic companies are increasingly facing prosecution from African authorities for breaches of anti-corruption legislation. For example, in 2015 Algerian authorities fined seven foreign companies and jailed 14 individuals after they were found guilty of corruption and money laundering in the completion of a highway project. The range of penalties included fines for each company and ten years' imprisonment, and a US$35,000 fine for an adviser to a Chinese firm. Separately, the Nigerian Economic and Financial Crimes Commission (EFCC) has recently brought a case against several oil companies alleging that they secured the purchase of an oilfield through a US$1.3 billion corrupt deal. Current and former senior managers of the companies have been charged. The EFCC has also been asked to investigate payments made by a Geneva-based oil company to four local law firms in Nigeria, as well as the use of company funds to pay for gifts for Nigerian ministers. Most recently, in June 2018 the offices of one of Africa's largest mobile telecommunications companies, and those of its legal counsel, were raided by representatives from South Africa's Directorate for Priority Crime Investigation (the Hawks). The raids were reportedly part of the Hawks' investigation into allegations that the telecommunications company bribed Iranian officials in relation to the award of a license to operate in Iran. In addition, significant collaboration occurs between African states and the US and UK authorities as a means of fighting corruption. At the UK's 2016 Anti-Corruption Summit, both Nigeria and Tanzania formally agreed to partnerships between local and UK authorities to build existing capacities. In another example of collaboration, in May 2018 the UK High Commission in Nigeria announced that it had provided special IT software to the EFCC in Nigeria. Collaboration with overseas authorities also extends to enforcement actions. For example, in 2015 the US SEC was assisted by the Integrity and Anti-Corruption Department of the African Development Bank and the South African Financial Services Board in its investigation into Hitachi. This led to the charging of Hitachi and a subsequent US$19 million settlement agreement. This recent increase in enforcement activity shows that African authorities themselves are serious about tackling bribery and corruption. Companies operating in Africa should therefore be aware that if they breach any applicable anti-corruption legislation, they face a real risk of not only being investigated by authorities in other jurisdictions—such as the US and UK—but also being investigated and prosecuted by African authorities. In this age of international cooperation and collective enforcement action, there is an increased risk that any misconduct on behalf of individuals or companies operating in Africa is likely to be uncovered. Both companies and individuals who fall afoul of the wide-reaching anti-corruption legislation described above face significant criminal penalties, including large fines, debarment from government contracts and even jail time. In addition, other collateral consequences of enforcement actions include potential reputational damage as a result of negative publicity and financial damage to shareholders and employees. Companies and individuals either investing or operating in Africa therefore need to be vigilant in their business practices and should ensure that they have carried out a proper risk assessment and that their anti-bribery and corruption policies and procedures are appropriate and well designed. 1 A combination of civil settlement and criminal penalties. Africa offers great potential for renewable energy deployment and investment. Concerns about carbon emissions from traditional coal-fired power stations coupled with a projected tripling in African energy demand by 20301 make renewable energy essential to power generation on the continent. Lack of access to electricity is only one challenge that Africa faces, but it is one of the most significant obstacles to socio-economic development. Africa's share of global renewable energy investment. With its good supply of wind, sunshine, hydropower and even geothermal resources, Africa offers great potential for renewable energy deployment and investment. Enhancing access to power generally across the continent is a core objective of both the African Union's Agenda 2063 and the national development plans of nearly all African nations. Clearly, renewable energy technology has a crucial role to play in achieving these objectives. A study by the University of California, Berkeley mapping out the location and energy potential of renewable energy sources in eastern and southern Africa shows that, although the energy generation resources are vast, they are not evenly distributed. The study indicates significant possibilities for wind, solar PV and solar CSP technology. Hydro-electricity offers viable solutions for up to one-third of the African nations. In a continent where many regions are plagued by frequent and severe drought, though, the use of rivers for power generation can be controversial. Environmental and socio-economic impacts of inundating large catchment areas also mitigate against large hydropower projects where other viable options exist. As with other models of centralized power generation, distribution networks associated with large hydropower projects are expensive to construct and maintain. They also represent security risks in parts of the continent where social unrest exists. Smaller, micro-hydro projects and other regional and local renewable power generation projects—including wind, solar and geothermal—present alternatives that may become more prominent in African power generation planning in the future. Climate change is now at the forefront of discussions globally and widely recognized as a problem demanding coordinated global action. Concern has mounted as its effects have become more evident across the northern hemisphere, with parts of Europe and North America experiencing some of the warmest summers on record and traditionally cold regions like Siberia experiencing unprecedented heatwaves. In many parts of the world, including Africa, movements promoting environmental sustainability and environmental consciousness are gaining momentum. With many parts of the continent already arid, the implications of global warming for Africa are especially dire. The gradual yet dramatic disappearance of the glaciers on Mount Kilimanjaro is a highly visible, symbolic manifestation of climate change in Africa. According to the United Nation's Intergovernmental Panel on Climate Change,3 an estimated 82 percent of the ice that capped Mount Kilimanjaro when first recorded in 1912 had already disappeared by the year 2000. Africa, as a continent, clearly needs to contribute to mitigating the impact of climate change, too. Key to this is switching, wherever possible, from coal-fired generation to renewable energy generation. As of July 2018, all but three African countries (Algeria, Angola and South Sudan) had ratified the Paris Agreement within the United Nations Framework Convention on Climate Change (UNFCCC). The Paris Agreement deals with greenhouse-gas-emissions mitigation, adaptation and finance, starting in the year 2020. It requires that each country determine, plan and regularly report on the contribution that it will make to mitigate global warming. Although no mechanism exists to compel nations to set specific targets by a particular date, the expectation is that targets should exceed those previously established. Driven by the Paris Agreement and also general concern about the impact of climate change on the continent, African renewable energy initiatives are gaining momentum. South Africa's Renewable Energy Independent Power Program (REIPPP), viewed as a major success for renewable energy procurement globally, has been an influencing and guiding factor for other African countries in their development of similar renewable energy programs. The main objective of the GET FiT Program is to assist East African nations in pursuing a climate-resilient low-carbon development path to promote growth, reduce poverty and assist in the best way possible with climate change mitigation. GET FiT Zambia was adopted by the Zambian government in October 2017 with the aim of procuring 200 MWs of renewable energy projects within the next three years. The Interim Renewable Energy Feed-In Tariff Program was introduced in Nambia in 2015 and has attracted investment mainly in solar generation rather than other sources of renewable energy. The Batoka Gorge hydroelectric power project is just one way in which partnerships by African states are emerging in the renewables space. This US$4.5 billion hydroelectric project on the Zambezi River that borders Zambia and Zimbabwe is expected to generate 1,600 MWs of electricity, to be shared in equal portions among both states.6 The Zimbabwe Electricity Supply Authority's (ZESA) generation capacity was measured in February 2016 as producing at only 845 MWs, against a projected national demand of 2,200 MWs and an installed capacity of approximately 1,940 MWs.7 Projects like the US$1.5 billion Hwange Power Station and the Kariba South expansion venture will add around 900 MWs to the Zimbabwean national grid.8 Once Batoka Gorge comes online, Zimbabwe is optimistic that sufficient generation capacity will exist to sell power to neighboring countries, too. As recently as June 2018, Gigawatt Global Cooperatief signed a deal with the 15-nation Economic Community of West African States to build US$1 billion worth of renewable energy projects in the region, with installation of 800 MWs of solar and wind farms in West Africa beginning with Burkina Faso, Senegal, Mali, Nigeria and the Gambia. Aligning with the 2030 vision to energize and "light up" Africa and the African Union's Agenda 2063, more renewable energy sources are being actively explored. Driven by their own concerns of corporate governance as well as the proven economic viability of renewable resources, funders are proving less inclined to finance coal-fired power stations. Consequently, Africa's adoption of renewable energy projects is accelerating. Needed over the next 20 years to meet Africa's power demand. So how does Africa secure these funds? Coupled with current legislative reforms under way, potential exists for investors to invest in renewable energy technologies in Angola. 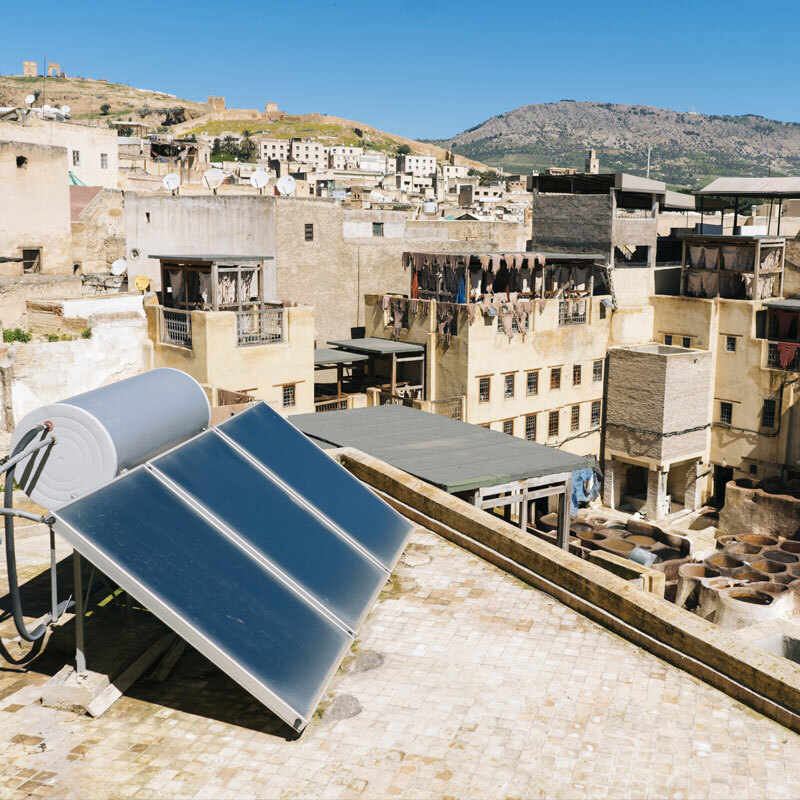 Morocco is another example of an African country that is taking active steps to enhance investment in renewable energy projects. Morocco is liberalizing its renewables sector, including by increasing the minimum threshold for hydro-power plants from 12 MWs to 30 MWs and by establishing the Moroccan Agency for Solar Energy to carry out programs for solar energy generation for up to 2,000 MWs. Investor confidence is recovering in Zimbabwe, with the new administration under President Mnangagwa. Opportunities exist in many industry sectors for both developers and financiers, particularly in renewable energy. Care needs to be taken to minimize investment risks, especially where regulatory reform is at an early stage. And more attention to marketing investment opportunities in African renewable energy is key to mobilizing these projects. African governments also need to continue to improve their ability to attract financing for these crucial projects by improving their regulatory and political frameworks, affording funding institutions and investors a stable environment to undertake projects, and becoming more environmentally sustainable in the long run. Despite the number of projects being commissioned around the African continent and the number of project initiatives that are currently underway across Africa, the continent is still nowhere near bridging its generation deficit. As current demands are met, demand for electricity across the continent continues to grow. With African states recognizing their renewable energy generation capacity, and in so doing taking action to implement the necessary reforms to make foreign investment possible, opportunities for investment in Africa will continue to expand. Progressive regulatory reform, especially around the establishment of independent power producer (IPP) programs, would accelerate that momentum. Attractive returns on investment, coupled with steadily improving risk, suggest that Africa will continue to attract investment into its renewable energy sector in the coming years. 1 Wu, G.C., Deshmukh, R., Ndhlukula, K., Radojicic, T., Reilly-Moman, J., Phadke, A. Kammen, D.M. and Callaway, D.S. (2017). Strategic siting and regional grid interconnections key to low-carbon futures in African countries. PNAS April 11, 2017. 114 (15) E3004-E3012; published ahead of print March 27, 2017. 2 International Energy Agency (2017). Energy Access Outlook 2017. Accessed at https://www.iea.org/access2017/ on 17 August 2018. 3 Boko, M., I. Niang, A. Nyong, C. Vogel, A. Githeko, M. Medany, B. Osman-Elasha, R. Tabo and P. Yanda, (2007). Africa: Climate Change 2007: Impacts, Adaptation and Vulnerability. Contribution of Working Group II to the Fourth Assessment Report of the Intergovernmental Panel on Climate Change, M.L. Parry, O.F. Canziani, J.P. Palutikof, P.J. van der Linden and C.E. Hanson, Eds., Cambridge University Press, Cambridge UK, 433-467. 4 National Energy Regulator of South Africa (2017). Monitoring renewable energy performance of power plants. Progress in the first half of 2017 (Issue 10) September 2017. Accessed at http://www.nersa.org.za/Admin/Document/Editor/file/Electricity/SustainableEnergy/Monitoring%20Report%20Oct2017_No2.pdf on 17 August 2018. 5 GET FiT Uganda (2016) Annual Report: Kakira Cogeneration. Accessed at https://www.getfit-reports.com/2016/projects/kakira/ on 17 August 2018. 6 AfrElec - Africa Power Monitor (2018). Zimbabwe To Push Ahead With Batoka Gorge HPP. 18 July 2018, Week 28, Issue 163. Accessed at https://newsbase.com/topstories/zimbabwe-push-ahead-batoka-gorge-hpp on 17 August 2018. 7 Africa-EU Renewable Energy Cooperation Programme (2017) Zimbabwe Energy Sector. Accessed at https://www.africa-eu-renewables.org/market-information/zimbabwe/energy-sector/ on 17 August 2018. 8 Kazunga, O. (2018) Hwange power station expansion contractor on site. Chronicle, Zimbabwe, May 1, 2018. Accessed at http://www.chronicle.co.zw/hwange-power-station-expansion-contractor-on-site/ on 17 August 2018. 9 International Hydropower Association (Undated) Ethiopia - Grand Ethiopian Renaissance Dam (GERD) Accessed at https://www.hydropower.org/case-studies/ethiopia-grand-ethiopian-renaissance-dam-gerd on 17 August 2018. 10 Africa EU Renewable Energy Cooperation Porgramme (2017). Renewables in Mozambique – National Status Report / October 2017. Second Edition. 11 Aglionby, J. (2017). Kenya shows renewables scope to plug Africa's power supply gaps. Financial Times, 23 may 2017. Accessed at https://www.ft.com/content/aa11cc7e-3567-11e7-99bd-13beb0903fa3 on 17 August 2018. 12 Kaluba, D.C. (2018). Financing Renewable Energy in Africa in the SDG Era. International Centre for Trade and Sustainable Development. 24 April 2018. Accessed at https://www.ictsd.org/bridges-news/bridges-africa/news/financing-renewable-energy-in-africa-in-the-sdg-era on 17 August 2018. 13 World Bank (2017) Africa Infrastructure Country Diagnostic. Accessed at http://siteresources.worldbank.org/INTAFRICA/Resources/aicd_factsheet_energy.pdf on 17 August 2018. 14 African Development Bank (2018). T he New Deal on Energy for Africa: A transformative partnership to light up and power Africa by 2025. 15 World Bank (2015). A Plan to Spur Climate Resilient Infrastructure in Africa. Accessed at http://www.worldbank.org/en/news/feature/2015/12/09/a-plan-to-spur-climate-resilient-infrastructure-in-africa on 17 August 2018. 16 Sector briefing: Doing business in Angola 2018. Accessed at http://www.angola.doingbusinessguide.co.uk/the-guide/sector-briefings/ on 18 August 2018. 17 Export.gov (2017). Angola Country Commercial Guide: Energy. Accessed at https://www.export.gov/article?id=Angola-Electric-Power-Generation on 18 August 2018.